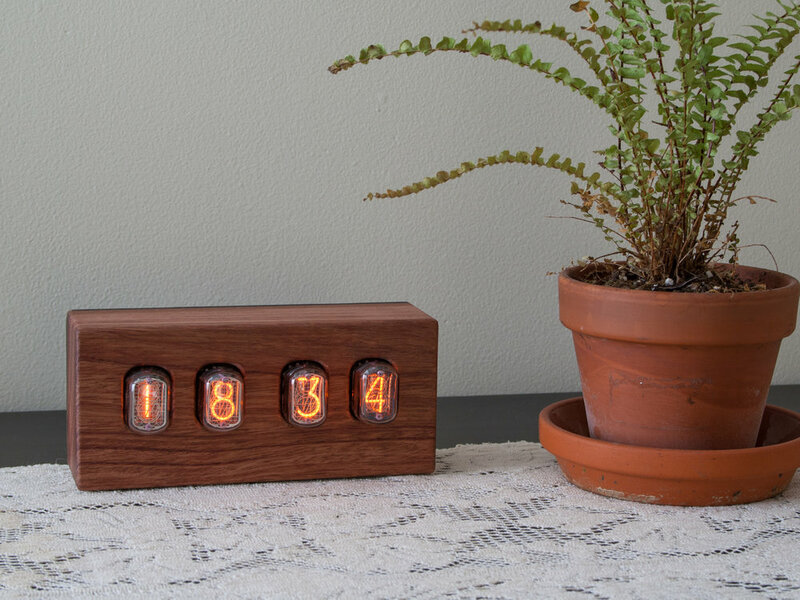 Using vintage Nixie display tubes, these clocks add a hint of retro styling to your desk, bedside table, or mantel. 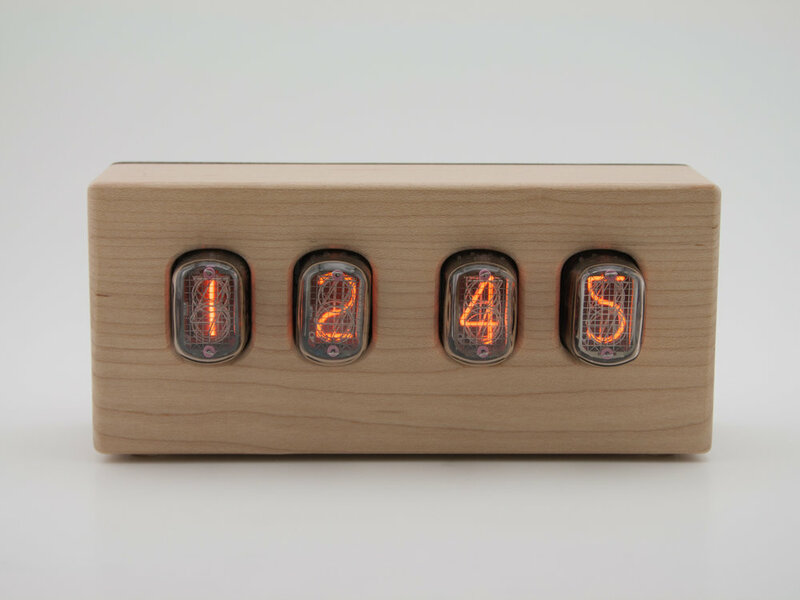 Each is individually crafted from select maple hardwood. Original circuitry, software, and design.